Custom imprinted glow in the dark sunglasses –blue will really make your brand logo the soul of the party. These glow- in- the- dark sunglasses have clear lens and a wearer can easily see through hinges. With its reliable plastic design and glow in the dark characteristics, you can assure that it is going to grab spotlight for the long time. Usage tip – Hold sunglasses under normal light for about half a minute to change the color. 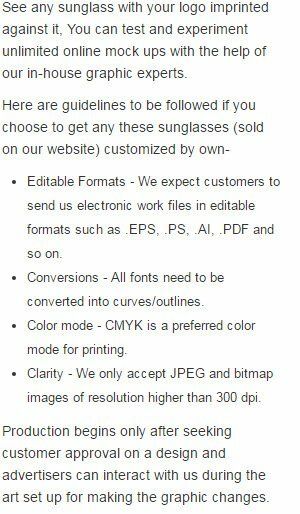 Request a quote to know the value savings that you can avail on bulk orders of customized glow in the dark sunglasses –blue.